North Norfolk Railway01263 820 800work Steam RailwayDescribed by the Daily Telegraph as one of the UK's great five heritage railways, The Poppy Line offers a spectacularly scenic ride from Sheringham along the coast to Weybourne and through the heathland to Holt. 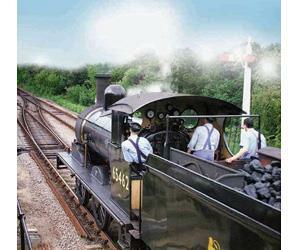 Described by the Daily Telegraph as one of the UK's great five heritage railways, The Poppy Line offers a spectacularly scenic ride from Sheringham along the coast to Weybourne and through the heathland to Holt. Steam trains from April 1st-End of October. Three Victorian stations. Refreshments and gift shop. Railway museum at Holt station.